This late model, confirmed matching numbers car was ordered new by the then Dino and Ferrari agents, Brandon Motors of Coventry for stock, on the 9th May 1973 to be finished in Rosso Chiaro 20-R-190 with black 161 interior trim. Order D/560 was confirmed by the Ferrari factory on the 23rd May 1973.The car was completed and invoiced by the factory on Tuesday 31st July 1973 to Maranello Concessionaires for delivery to the UK by truck. Upon its arrival with Maranello Concessionaires, the car was invoiced-09734-to Brandon Motors by Maranello Concessionaires Ltd on the 9th August 1973, but then re invoiced a month later to the then North West Dino agents, S.G.M (Garages) Ltd of Newcastle-upon -Tyne, who, presumably having sold a 246 GT in red with black, had the car allocated to them. The car was registered to the Mr G C then of Torbay, on the Newcastle upon Tyne number, RBB 36M on Friday 28th September 1973. The then list price was £5288.02 plus delivery charges number plates and road tax. Mr C a Rolls Royce specialist used the car covering some 12,000 in the 17 months he owned it, having SGM Garages of Newcastle upon Tyne carry out the B coupon service on the 25th October 1973. Mr C sold the car to Mr W K of Cornwall with 12,163 total miles (the speedometer having been replaced at 10,613 miles) for £4000 on Saturday 11th February 1975-the sales invoice actually says 11,000 total miles. Mr K had the car maintained by Torbay Garage, Maranello Concessionaires, Maltin Car Concessionaires Ltd and Heron (Exeter) for the next three years, adding some 40,000 miles. Due to ill health, the car was put into a storage barn where it remained for some twelve years until it was inherited by Mr K nephew, Mr R D of Cornwall, who became only the third and penultimate owner on the 15th July 1995.Mr D had Wildae Restorations Ltd of Braunton, Devon-now owned by official Ferrari workshops, Joe Macari-, restore the bodywork, taking just over three years from the first invoice -1st October 1997 to the last-31st December 2000 and £51,614.06! Following a road test and report by Mr W B of Motorvation in May 2006 the car was purchased via Coys of London, once again by a gentleman from Cornwall. From January 2007 to July 2007-with some 76,000 total miles, the car was with respected engineer Neil Twyman who removed the engine/gearbox from the car, completely rebuilt it, including balancing, and refitting to the car. He also rebuilt the suspension front and rear, fitting new spring and shock absorbers, invoices totalled £24,519.42 for the six months of work. In July 2013 with 79,153 total miles, the car was sent to former Maranello Concessionaires mechanic Neal Lucas in Surrey where it underwent a full service including re-torqueing of the cylinder heads and checking/adjusting the valve guides, spending some £3,837.55. The car recently underwent a re-trim in black hide with a respected Hampshire trimmer. This rare low ownerage car is complete with its original warranty booklet, dealer directory and an extensive history from new. The Dino 246 GT was an evolution of the Dino 206 GT, with a larger V6 engine and a wheelbase lengthened by 60 mm. Apart from the longer body, the design was virtually identical, with just a longer engine cover and a repositioned fuel cap. The car proved commercially very successful, and three series were produced during its life span. When production stopped in 1973-4 demand was still high. At about the time that the Dino 206 GT gave way to its successor the 246 GT during 1969, Enzo Ferrari was reaching an agreement with Gianni Agnelli of Fiat to take over the production car side of the Ferrari business. 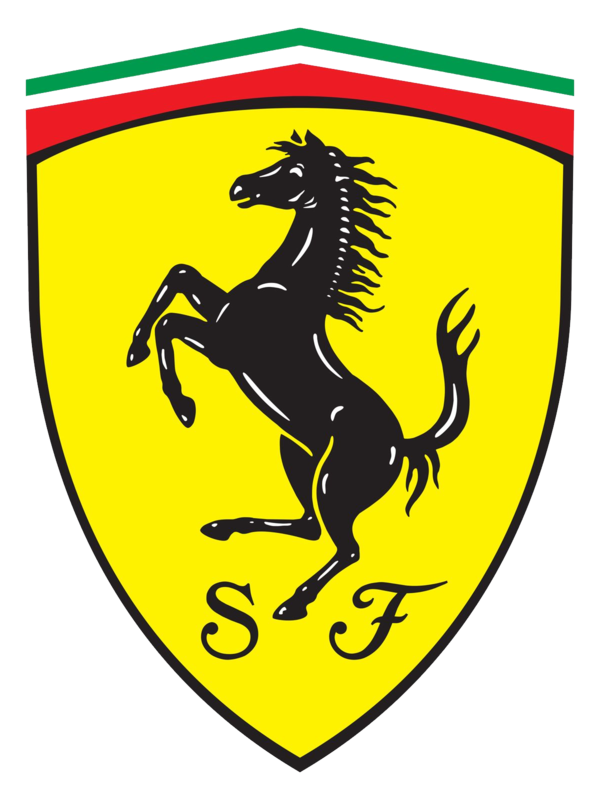 At this time Enzo Ferrari was already over 70 years of age, and apart from securing the long-term future of the production car business, it freed him from the day to day responsibilities of it, and gave him more time to devote to his first love, the racing department. The Dino 246 GT made its official debut at the Turin Show in November 1969, although the production run had already commenced. A total of 81 examples were completed by the end of the year. Visually the 246 GT was almost identical to the 206 GT that it succeeded, apart from the fuel filler cap being under a flush fitting flap on the left sail panel. In reality there were more differences than initially met the eye. Apart from the increase in engine capacity from 2 litres to 2.4 litres, the engine block material was changed from aluminium to cast iron. Also not apparent from a casual glance was the change to the wheelbase, which was 2280mm on the 206 GT, and 2340mm on the 246 GT, with a corresponding increase in overall length. An increase in diameter of the paired twin exhaust pipes could also be noticed. During the production period of the 246 GT from 1969 to 1974, there were no major changes to any features, although various smaller items and details did change, leading to the three series of cars referred to as “L”, “M” and “E”. This is apart from the different market versions, and the targa-roof 246 GTS model. Broadly speaking, series “L” cars were produced in late 1969 and through 1970. They have road wheels with a single knock-off spinner, front quarter bumpers into the grille opening, rear licence plate lights in the quarter bumper ends, an external boot lid release button and head rests mounted on the rear bulkhead. The body material was steel with an aluminium front lid. Series “M” cars were produced for a short period in the early part of 1971. They had five bolt fixing for the road wheels, an internal rear boot lid release catch, seat-mounted headrests, plus detail changes to the engine and gearbox, whilst the chassis received modification, resulting in an increase of 30mm in the rear track. The Series “E” cars were produced from early 1971 to the end of production in 1974. They incorporated all the changes to the Series “M” examples, together with further modifications to the engine and gearbox. The windscreen wiper parking arrangement changed from central to right, on left-hand drive cars, whilst right-hand drive examples retained the central parking arrangement. Other visible differences were the repositioning of the door lock barrel from within the scallop to below it. The quarter bumpers finished short of the grille opening, the cooling ducts below the front quarter bumpers changed from plain rectangular openings, to formed circular inlets, and the rear number plate light became a chrome-plated rectangular unit mounted on the rear edge of the boot lid. A USA market version was introduced at the end of 1971, which can be identified by the vertical instead of flush mounted indicator lights in the nose panel, and rectangular side marker lights cut into the front and rear wings. The 246 GTS model with a black finished removable roof panel was introduced in the spring of 1972 at the Geneva Show. Apart from the removable roof panel, it can be identified by the omission of the rear quarter windows, which were replaced by a plain metal sail panel with three rectangular cabin exhaust air slots. Late in the production run, wider Campagnola wheels of a different design from the standard Cromodora ones, coupled with flared wheel arches, were offered, as were “Daytona” pattern seats, which had a different, more elaborate stitch pattern with thin horizontal bars to the centres, which earned the package the epithet “Chairs and Flares”. As noted the cars were built on a 2340mm wheelbase chassis, constructed along the same lines as the preceding 206 GT. It was modified twice during the production period, and given factory type reference numbers 607L, 607M and 607E. The Dino even-number chassis numbering sequence, which had started with the 206 GT, continued in use throughout the production run. Servo-assisted ventilated disc brakes, initially Girling on “L” series cars, and then ATE on later models, together with independent suspension of the same layout as the 206 GT were provided. The body shape was virtually identical to the 206 GT apart from the details already mentioned. The engine was again of 65 degree configuration, with chain-driven twin overhead camshafts per bank, having a total capacity of 2418cc, with a bore and stroke of 92.5mm x 60mm, bearing factory type reference 135 CS. The cylinder block was cast iron, whilst the cylinder heads and various other castings were of a silumin alloy. The engine was transversely mounted in unit with the all-synchromesh five-speed transmission assembly, which was below and to the rear of the engine’s wet sump. It was fitted with a bank of three twin-choke Weber 40 DCN F/7 carburettors on Series “L” and “M” cars, with 40 DCN F/13 models on Series “E” cars, mounted in the centre of the vee, with a distributor and electronic ignition system, to produce a claimed power output of 195 hp. Despite the evolution of the body style from the sports-racing Dino model, there was virtually no competition career for the Dino road series cars, apart from relatively low key private entries in some national events and rallies. The only major international race appearance was at the Le Mans 24-Hour Race in 1972, when a much modified 246 GT, chassis no. 02678, was entered by Luigi Chinetti’s North American Racing Team, driven by Gilles Doncieux/Pierre Laffeach/Yves Forestier, finishing in 17th position overall and 7th in the Index of Performance category. Between 1969 and 1974 a total of 2487 Dino 246 GT models were produced, with 1274 246 GTS examples being produced between 1972 and 1974. Taken from Ferrari's own website. One does not expect the same sort of pleasure from a cabriolet as one does from a coupe, and even a pair of twins sharing an identical mechanical specification and the main body structure will inspire the driver with a different quality of enjoyment. If anyone remains unconvinced of this, they should first drive a Dino 246 GT, and then jump into a 246 Dino GTS - they won't feel anything like the same car. Before inviting you for a short trip in a 246 GTS, we should first spare a glance for the beast in repose. Squatting purposefully on its four wide tyres it is well worth a quick look because, once again, Pininfarina has succeeded in creating a car of extreme individuality. Almost the whole of the body has been borrowed from the coupe, but the provision of a detachable roof has enabled the coachbuilder to contrive a more sporting image. We are not in fact dealing with a cabriolet in the true sense of the word, since the removal of the "top" leaves in place, behind the seats, a permanent hoop structure complete with the side panels and rear window. The coupe's quarter lights have gone, replaced by three ventilation louvers, which echo those of the bonnet. With its prominent front wings, its low profile and its hoop extended by flying buttresses to the back edge of the rear wings the GTS reminds one - at least in side view - of the fabulous 330 P4 of 1967: that at least, was the impression shared by a good number of the visitors who saw the car for the first time at the 1972 Geneva Motor Show. Once behind the steering wheel there is a strong feeling of being in a true "prototype", one can see nothing of the bonnet, only the two large humps of the front wings. The cockpit is spacious, but one searched for luxury in vain; everything here is strictly functional with an air of refined good taste, nothing more. Snug bucket seats, a stubby gear lever falling immediately to hand, a tiny three-spoke steering wheel - and, right in front of the driver, a crowded dashboard taken from the 365 GTB/4 Daytona, comprising two large instruments and six small ones. Switch on and start up: one can feel the difference from the coupe the instant the engine fires. In this car one has a much closer bond with the mechanical organs. This engine delights in working hard, swift movements of the gear lever and steady pressure on the accelerator making it shout for joy. The car offers almost limitless performance to anyone who knows how to make use of it. Extremely lively, completely stable, steered with rack and pinion precision, it negotiates fast off slow corners with the same haughty unconcern. On the motorways it holds its course imperturbably, the willing little engine pushing it all the way up to 150mph without strain. Don't hesitate to use the revs: above 4,500 a performance banquet is spread before the driver, with a full symphony orchestra in attendance. The engine note rises from a raucous boom to a frenzied howl, flooding the ears with sounds that remain embedded in the memory long after switching off. The GTS has all the intrinsic qualities of the Dino 246, but offers in addition the extraordinary sensation of hearing the machinery come to life all around one. That is why it is not just a car with a sporting appearance; it is an authentic sports car through and through. Whilst every effort is made to ensure the accuracy of the above details, we do not warrant that such details are accurate. Do you have an interesting Ferrari to sell?